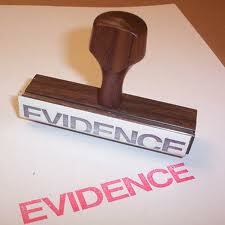 Evidence based teaching – get it out there! Looking through the bottom ten factors that effect learning, I feel frustration that these aren’t common knowledge and right out there in the public domain. If I had a quid for every time a parent asked me about ability grouping, I’d be able to leave the teaching profession and sit on a beach sipping pina coladas all day. Thanks to the powers that be keeping the ability myth going, parents aren’t happy unless their children are rubbing shoulders with the ‘clever’ kids and the so called ‘slow’ learners are well away, on their own table (after all it might be contagious!). The only factor I would contest is that of the teaching assistant. Yes, if used as an admin assistant (pencil sharpener and filing cabinet monitor) then they are certainly high cost, low impact on learning. However, my TA is high impact because she actively supports assessment for learning (AFL) in the classroom. She does this by pre-teaching to small groups who will need it and carrying out over learning sessions post teaching. We work as a team and pick up any stragglers in real time…everyone is on the bus! I say, teachers must make sure their TA’s have an impact and use them as an AFL partner in the class as they teach! The effect size of my TA would surprise Mr Hattie. Ability grouping near zero Pupils with similar attainment levels are grouped together either for specific lessons on a regular basis (setting or regrouping) or as a class (streaming or tracking). Teaching assistants near zero A teaching assistant or classroom assistant (sometimes called an educational assistant or paraprofessional) is someone who supports a teacher in the classroom. If the TA simply helps the pupil with the task, the effect is slightly negative. However, TAs who promote independent learning skills, or who are trained to deliver remedial lessons (eg vocabulary or arithmetic) have a very positive effect. Learning Styles very low Based on the notion that, as individuals, we all have different approaches, or styles of learning and that learning will be more effective or more efficient if we are taught accordingly. Retention negative Pupils who fail to achieve a set grade are kept down and repeat the year. Teacher subject knowledge low There is little evidence that teachers who are expert in their subject are more effective as teachers. Charter schools or Academies low A publicly funded school, but free from some of the regulations of other state schools. Go to http://www.ebtn.org.uk/bottom-ten for more information. Making Meaning – Constructing Learning. This is why we need to sit up and look at the evidence. There are many myths about education that are out there in the public domain. Extensive research, not mere anecdotes or daily mail articles, but formalised research has been carried out on the effect of class size on children’s learning and the effect is very low. Of course this is counter intuitive isn’t it, because you would expect with a smaller class a teacher would have more time for each pupil and so a greater effect on their learning. However, what does really effect children’s learning is the quality of the teaching. High quality teaching will effect all the children’s learning in a class. However, mediocre teaching will still be mediocre teaching whether the class gets smaller. Here then, it’s not more time with the pupils that is needed, it’s better teaching! With very small groups the research does show some increase in effect, so for groups of say ten children, but it is not feasible in state education to have classes of ten. Instead, we have small booster groups in addition to the usual class activities and this is effective. One to one tuition is very effective indeed and all research supports this, again even better if the teaching is high quality! What this research is really aimed at is all those people who jump up and down about classes of 30 and rant about getting it down to 25 or 20. What they should be ranting about, is the quality of the teaching and the teacher training instead. That’s where the real difference lies.